KK Motors one of the Auto Salvage Yards who posts Parts Car Listings on Parting Out. 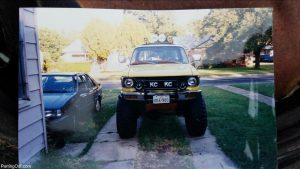 K&K had a new customer Ron visit them today from about 125 miles away to take delivery of salvage replacement parts for his four wheel drive Chevrolet LUV pickup. He has a really cool 4×4 Chevy LUV pickup he bought as his first truck. Now 15 years later and many Utah winters prior to moving to Texas has eaten up the pillar post -rocker and striker area. Besides being able to view the photos of salvage parts cars on Parting Out he mentioned the communication aspect on Parting Out was the feature that got him the salvage pickup part he needed. You probably recall that the Chevrolet LUV and Chevrolet LUV D-Max truck were rebadged/twinned versions of the Isuzu Faster and Isuzu D-Max pickup trucks. The re-branded vehicles have a lot of compatible and interchangeable parts, components and trim. As cute as it sounds, “LUV” was actually an acronym that stood for “Light Utility Vehicle”. Ron, like all of us, is super busy and got side tracked. But Parting Out keeps a running account of all communication, including price negotiations and car part conditions, in a neat web based format that is readily available to both the buyer and seller 24 hours a day. The salvage parts seller simply gave a slight nudge asking Ron if all was still on which lead to a final agreed upon price and time to pick up his rot free used salvage pickup Cab. 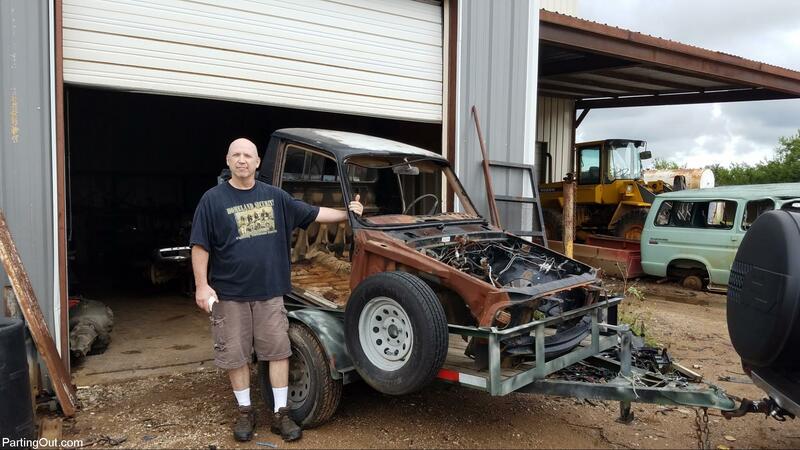 Once a deal was struck Ron got a paypal Invoice, KK Motors received payment, the Used Chevy LUV Cab was made ready for pickup and here Ron is leaving out with the salvage part that he needed. Thank you both for being a part of this growing used auto parts marketplace PartingOut .com! As an online salvage car parts classified marketplace, Parting Out was designed with this kind of transaction in mind. Parting Out helps the salvage car parts buyer find the salvage auto parts seller and vice-versa. As an online marketplace, Parting Out gives the seller – be it an auto salvage recycler yard or an individual who wants to part out a car or pickup for profit – a place to easily and quickly publish a classified ad listing or post to market and promote his or her salvage parts car – the seller can part out a car online with Parting Out. Listing a salvaged parts car classified ad on Parting Out is free and you don’t even have to list the individual parts – you just have to list the salvage parts car and provide a picture of the car. For the discount used car parts value shopper, Parting Out functions as a visual salvage car parts locator to locate discount replacement salvage car parts, trims, and accessories for sale. If you’ve ever wondered how to buy salvage car parts online, well Parting Out is the answer! Chevrolet Luv Pickup recycled salvage auto parts are an economic alternative to rebuilt and refurbished car replacement parts and components. 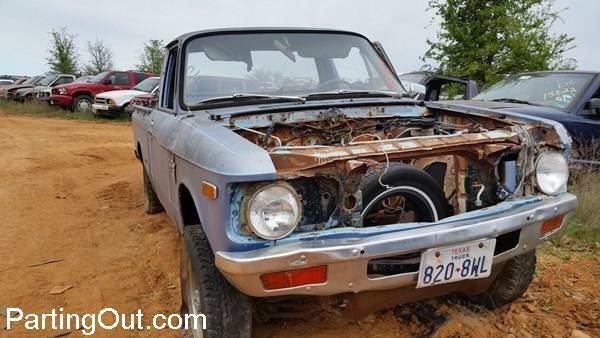 Some may think of salvage Chevrolet Luv Pickup car parts as junk but recycled car parts are a great value for your Chevrolet Luv Pickup and a good green resource to help conserve the environment and your money. If you have a salvage Chevrolet Luv Pickup you can part out a junk car and sell the green auto parts on Parting Out. If you’re wondering how to part out a pickup truck like the Chevrolet Luv Pickup and sell the used parts on the internet – Parting Out is the answer to that too! Thank you Ron and all other Parting-Outers for being a part of this growing used auto parts marketplace PartingOut .com! Parting Out Interview on the Untitled Car Show Podcast!